Most of us have these habits that make us age faster and we don't even know it. Recognizing these habits while it's early can make you quit them easier so you can keep your body and mind as young as it should. 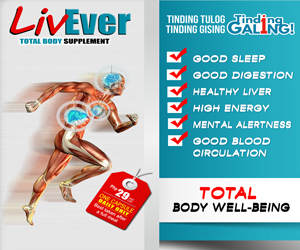 “What can we do to slow the aging process? Because physical aging can be accelerated by environmental factors such as lack of physical activity, regular exercise can offset physical aging and improve quality of life,” says Dr. Sandra Hunter, associate professor of exercise science. Cholesterol is something that a lot of people don't pay attention to when they're young. Freeing yourself anything without keeping an eye on your cholesterol levels, makes you age faster even if you re as young as 20 or 30. The best way to stay healthy and stop yourself from aging faster is to make sure you are getting enough good cholesterol and lowering your bad cholesterol. Smoking can cause health risk including lung cancer and throat cancer. But especially smoking can also make you age faster than your body should be aging. Even after you've quit smoking, it's hard to reverse the effect of smoking on your body. It’s best to never start smoking, to begin with, but even if you’ve already begun, quitting is much better than keeping on smoking. It’s one of the most dangerous and biggest things that age you faster. Blood pressure is something that, while we’re young, we don’t think too hard about. It can mean that when it really starts to matters, we’ve already gone long enough not watching our blood pressure that things can get hairy. Science has long proven that people who were overweight and who managed to lose some of that weight and keep it off were able to improve their life span. Not watching your weight can make you age faster. When studied, patients who lost at least 2.2 lbs increased their lifespan by 2 months. Maintaining a healthy weight can increase your lifespan, as well as stop you from aging faster. Instead of taking chances, and living your life the way that you want to, some people tend to take the easy path. When you don’t live your life to the fullest, and your life isn’t something that makes you happy and fulfilled, it means that you’re much more likely to die sooner, and age faster. People who live in a state that is overwhelmingly positive have reported feeling healthier and happier and living longer lives. If you consider yourself a lazy person, or someone who just doesn’t like to exercise, this could be a habit that’s really shortening your life and making you age way faster than you should be. Science has already proven the benefits of physical activity – even low level physical activity like taking a walk every day. According to this study, Dr. Mark Tarnopolsky, MD, PhD stated that “a person can slow the speed at which they age by exercising regularly.” You don’t have to become a weightlifter, but for a longer, healthier life, starting up some exercise is just the thing. Stressed out? Anxious? Upset? Feeling lots of negative emotions? Do you just let yourself wallow in those feelings without trying to work through them? Are you the type of person to let yourself get overwhelmed by your negativity? 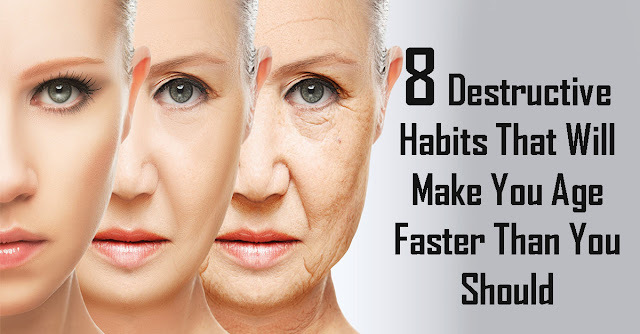 This is a habit that is definitely making you age faster. Education, and especially university and beyond, can be inaccessible for a lot of people. But, if you’re capable of going, it’s important to get as high of an education that you can. Studies have shown that education has an impact on your life in so many different ways, and all of them work together to improve your health, help you live longer, and keep you young.